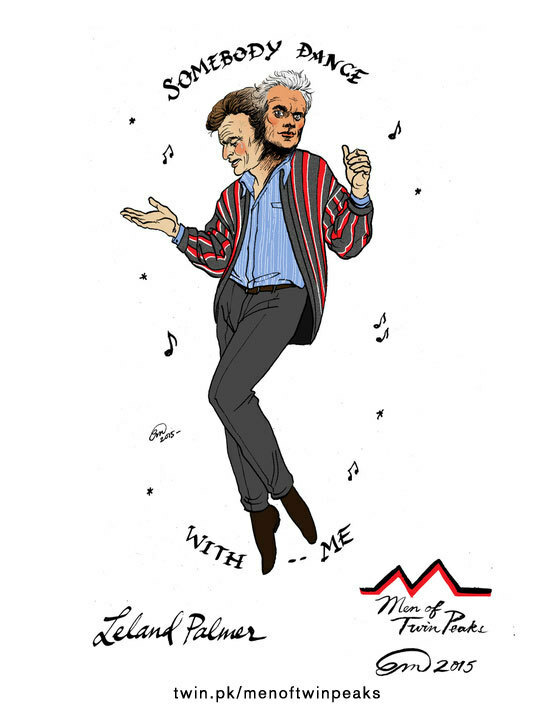 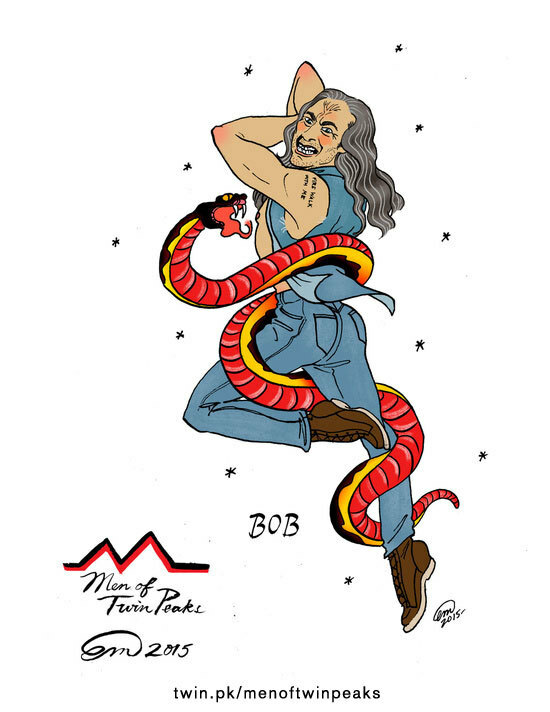 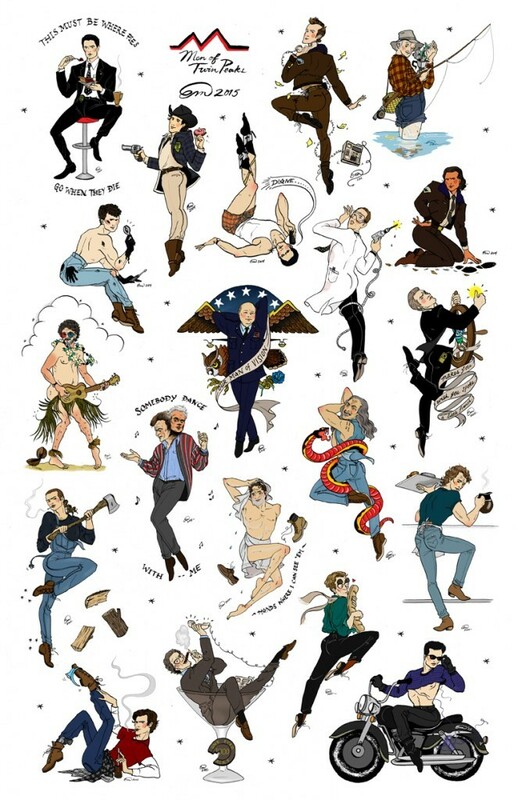 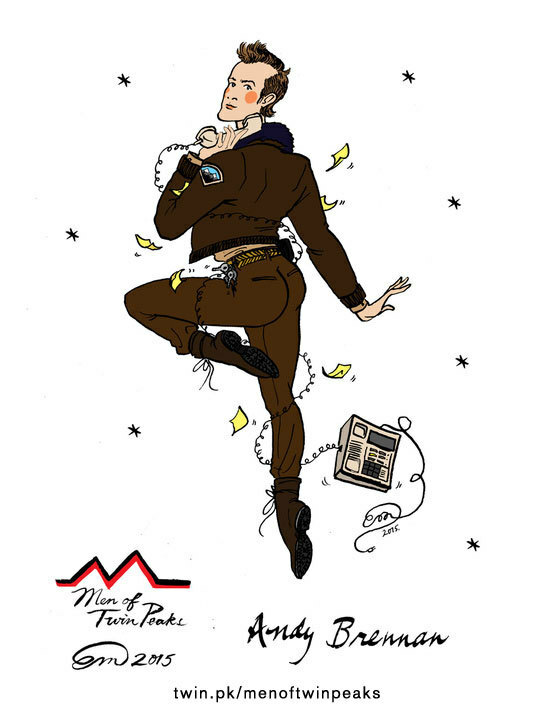 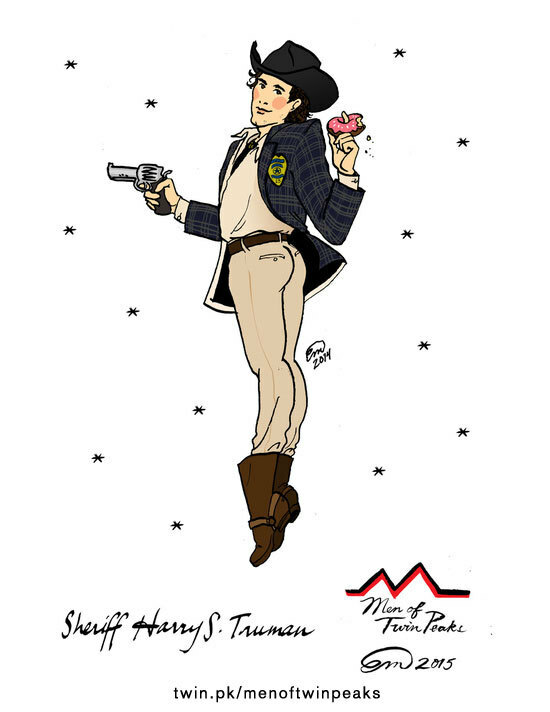 San Francisco-based illustrator Emma Munger created this awesome series depicting the men of Twin Peaks in classic pin-up poses in the style of American tattoo artist Norman “Sailor Jerry” Collins. 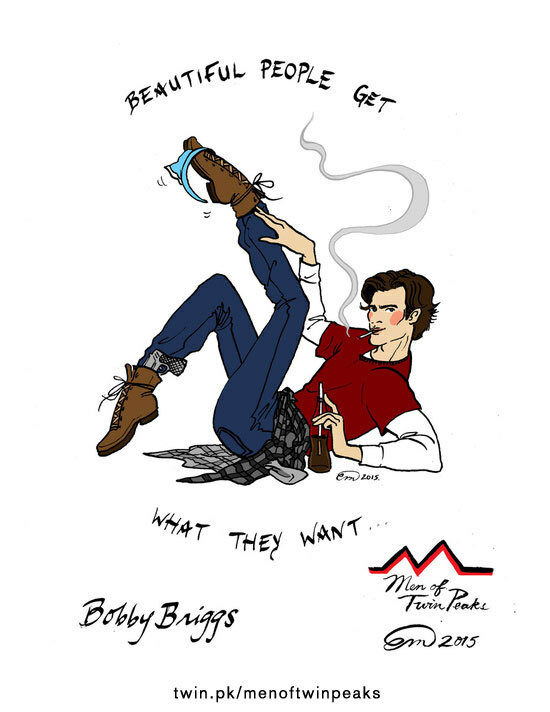 Each one is presented with a quote and accessories that match their wonderfully distinct characters. 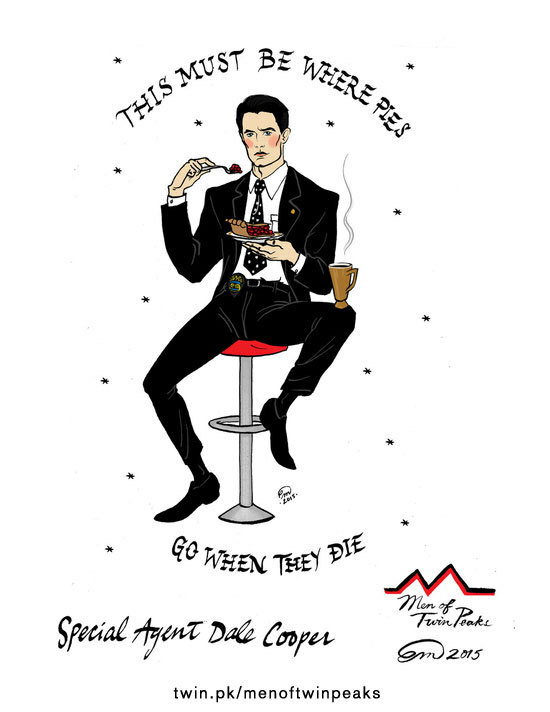 Agent Cooper enjoys a damn fine cup of coffee and a slice of cherry pie, Sheriff Truman twirls a frosted donut on his finger, and consummate angler Pete Martell is depicted in thigh-deep water holding up his infamous fish in the percolator. 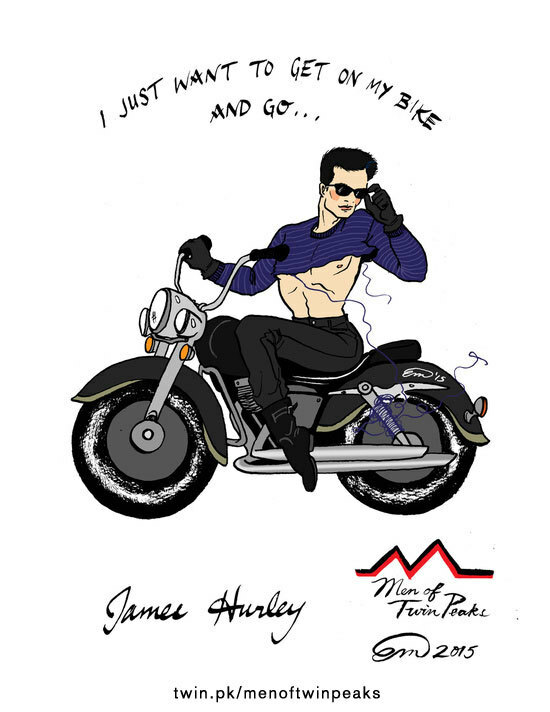 Also, don't miss the Ladies of Twin Peaks.